Chief Rabbi Yitzchak Yosef warns against causing a nuisance with Jewish prayers on airplanes. 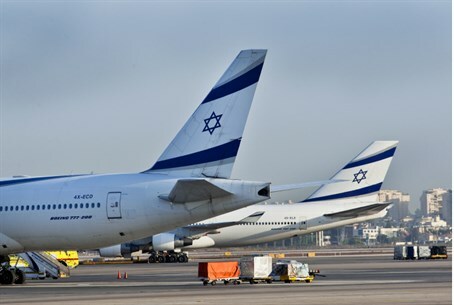 Jews should not hold group prayers on airplanes if doing so will disturb others, Chief Sephardi Rabbi of Israel Rabbi Yitzchak Yosef has ruled. Rabbi Yosef shared his decision in a letter to the manager of El Al airlines, Eliezer Shkedi. “If there is any disturbance to passengers or to the stewards, then people should pray individually rather than in a minyan [prayer quorum],” he wrote. “Especially if [the prayer quorum] would cause elderly or exhausted passengers, or children, to lose sleep,” he added. In Jewish law (halakhah), causing a person to lose sleep is considered a form of theft, termed gezel sheina. Jewish law also requires men to pray with a quorum of at least 10 when possible. This has led many observant Jewish travelers to find others to complete a prayer quorum even when in the midst of overseas travel.